MIAMI, Feb. 15, 2018 /PRNewswire/ -- SPI Cruise Group, a consortium of cruise industry experts retained by South Padre Island, Texas, to evaluate the popular vacation destination's suitability to become a cruise port of call, has issued its initial findings. Based on a site inspection in December 2017, the group has completed a matrix analysis to evaluate SPI's fitness on maritime viability, uniqueness and branding, consumer demand and revenue possibilities. With 34 miles of beautiful white sand and clear emerald water, South Padre Island is one of the world's most exquisite barrier islands and the only island in Texas. An initial desktop study of available meteorological and oceanographic data indicated safe harbor conditions protected from predominant wind and waves due to the location on the eastern shore of the bayside of the world's largest barrier island. Three potential berthing locations were identified, each requiring a different level of dredging. Assessment of potential landside cruise guest reception facilities led to the conclusion that they should be limited and temporary, with minimal environmental impact. Considering the plans for the redevelopment of Isla Blanca Park, cruise guest services structures can be limited in scope (and cost). The group ascertained that the greater park area on the south end of the island is one of the best natural cruise ship arrival zones in the Caribbean, as almost no other berth in the region is immediately adjacent to a natural white sand beach. The preferred berthing site would lend itself to several pier configurations with relatively small environmental footprints and the least amount of dredging required. A Phase 1 stationary pier could be expanded later with a floating structure or additional gangway elements connecting to shore. Tropical Adventures — National Geographic listed South Padre Island among the world's top 13 beaches for kiteboarding, and Canadian Traveller says it's a great place to learn to surf or paddleboard. With 34 miles of enticing beach, SPI offers a wealth of watersports and pastimes that are well-suited to today's more active cruise guests. Whether it's deep-sea fishing or a dolphin-watching tour, there is an array of tropical adventures — from horseback riding on the beach to scuba diving, jet skiing, and deep-sea fishing — all available within 4 to 5 miles of the ship. Eco-Tourism — As the world's largest barrier island, SPI is a world-class destination in terms of biodiversity. With existing attractions such as the South Padre Island Birding and Nature Center, Sea Turtle Inc. or dolphin-watching tours, there are plenty of sustainable and eco-friendly facilities and activities to entice cruise passengers. And for those interested in "voluntourism," there are even organized dune-planting outings. Given the emphasis on sustainability and eco-awareness among travelers, this theme would provide a dynamic mix of attractions and messaging. 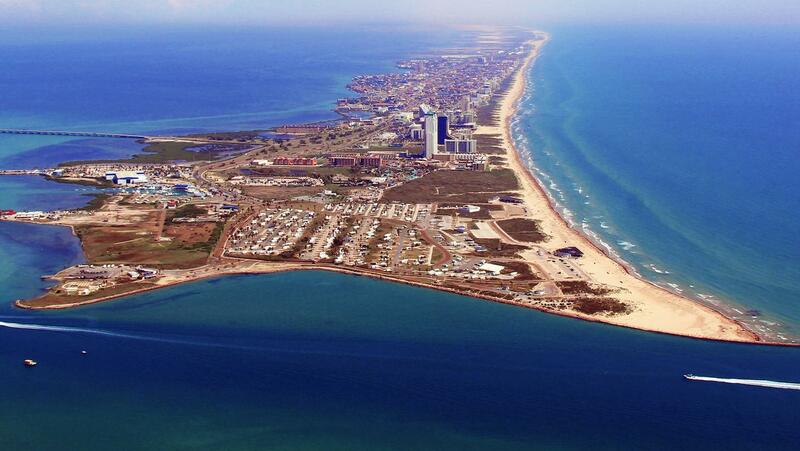 Historical Destination — Padre Island has a long and rich history dating from the early 16th century and has been owned by Spain, Mexico, the Republic of Texas and, most recently, the United States. Heritage tours could be created starting with the Native American story through the colonial era, including shipwreck maps and trips to the 1830s-era lighthouse at Port Isabel. South Padre Island receives 4.5 million visitors per year, so there already is significant consumer demand for the product as a vacation destination. While consumers in Texas and the lower Midwest have long known about the charm of South Padre Island, consumer interest in the destination is actually national in scope. The group considered SPI's "Distribution of Interest" map of the U.S. and found that requests for information about SPI through online and magazine advertising have come in from across the entire country, with significant concentrations in the Northeast, the Great Lakes region, California and even Florida. Overlaying that map with a map of cruise guest feeder markets showed significant overlap, indicating that interest in SPI as a vacation destination could relatively easily be developed into interest in the island as a cruise port of call. A major attractant for cruise lines is the availability of shore excursion opportunities in proximity to a port of call. In this respect, SPI has a diversified and mature tourism infrastructure with a variety of potential shore tours well within distances that could be accommodated on a daylong ship call. A white sand beach within walking distance of the ship. Three exciting and different day tours to world-class, unusual and attractive venues: King Ranch, the Gladys Porter Zoo and Nuevo Progreso, Mexico. A Schlitterbahn waterpark within walking distance of the ship. 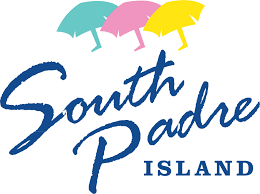 Two nationally recognized ecological attractions, the SPI Birding & Nature Center and Sea Turtle Inc.
After studying their findings, SPI Cruise Group concluded that South Padre Island has all the attributes necessary to support cruise tourism as a port of call. "There hasn't been a new U.S. cruise port of call since Key West hosted its first cruise ship in 1969, and there's a reason for that," said Jay Lewis, managing director of MarketScope Global and project leader for the SPI Cruise group. "It takes a very specific combination of attributes for a place to qualify as a cruise port of call. Like Key West, South Padre Island has history, culture, an inviting climate and both waterside and landside attractions in a compact package as well as a safe, navigable harbor and a berthing location just steps from the beach. I can't think of another American destination that offers a similar combination." The SPI Cruise Group consultancy is composed of experts in marketing, port and destination development, cruise, maritime and hotel operations and communications from MarketScope Global, IDEA, Cruise and Port Advisors, and NewmanPR. The group was formed to develop a strategic vision and action plan to turn South Padre Island into the western Caribbean's newest cruise ship port of call. With 34 miles of beautiful white sand and clear emerald water, South Padre Island is one of the world's most exquisite barrier islands — and the only island in Texas.